Reverse: DVRET VSQVE AD EXTREMVM/in ex: BELG. FOED. 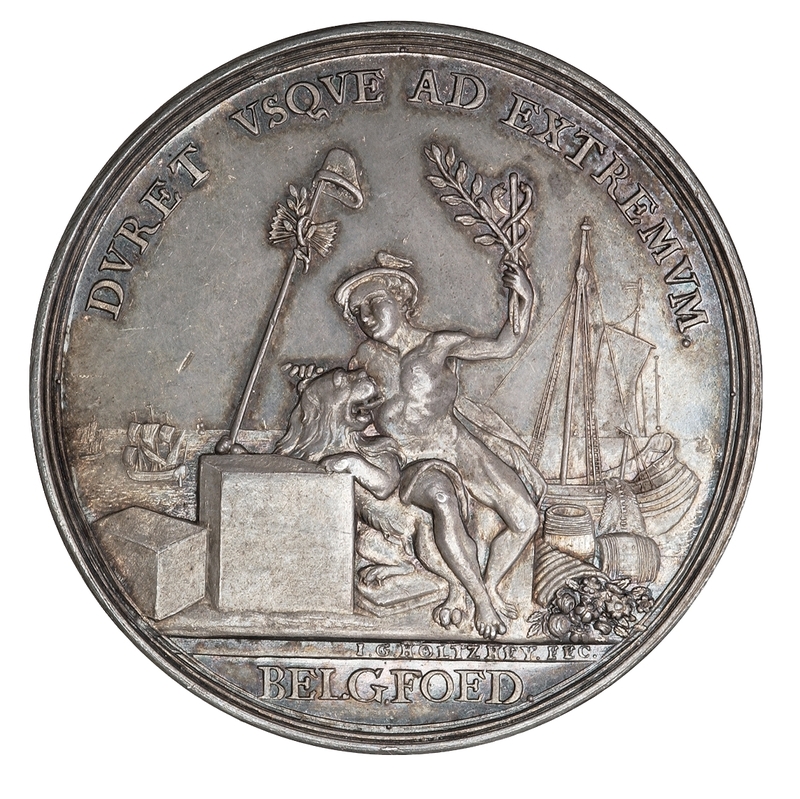 [May it endure forever/in ex: The United Netherlands] - Mercury seated upon the Belgian lion who supports in right paw a staff with bundle of arrows and cap of liberty, with boxes and cornucopia at r. In background on the right a vessel and on the left ships sailing in the ocean. Symbol: beneath exergue line, r.: J. G. HOLTZHEY. FEC. Note: 425 gns. 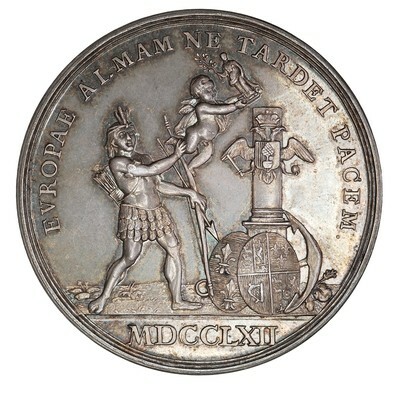 This medal appears to have been struck in the Netherlands in the hope of the speedy return of the peace after the Seven Years' War. It was executed by John George Holtzhey who was born in Amsterdam in 1729, became master of the Mint in Zealand in 1754 and died in 1808.